Peter Niederman and Frank Hutton are developing One DTC West Shown is a rendering of One DTC West. It was designed by Barber Architecture. 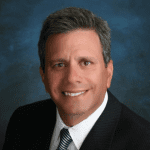 Niederman is CEO of Kentwood Commercial. There are plenty of shiny, new office towers sprouting along the southeast corridor where Peter Niederman could easily lease 25,000 square feet for his residential real estate firm. So why did Niederman, CEO of Kentwood Real Estate, one of the nation’s most successful residential real estate firms, instead decide to build his own office building, just west of the Denver Tech Center? “Because I am in the real estate business,” Niederman answered. Last year, Niederman sold Kentwood to HomeServices of America, a Berkshire Hathaway affiliate. Berkshire Hathaway, of course, is controlled by Warren Buffett. Niederman continues to manage Kentwood on a day-to-day basis. Although the residential brokers at Kentwood average $12 million in sales each year, making Kentwood No. 2 in the U.S. on the metric, Niederman is as bullish on Denver area commercial real estate as any developer or broker. 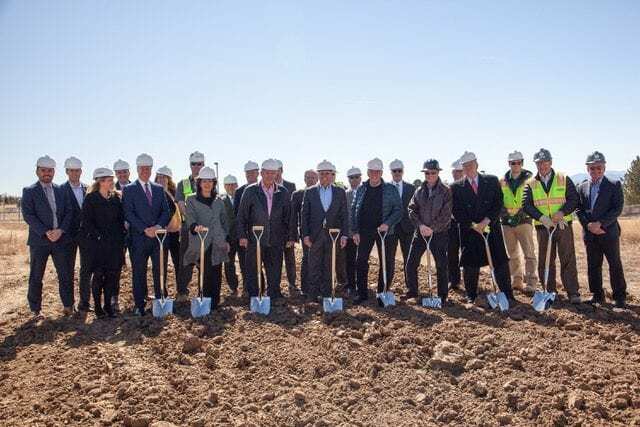 Niederman, his partner, energy executive Frank Hutto, and the team they assembled recently broke ground on the $28 million, four-story, 75,000-sf One DTC West office building at East Belleview Avenue and South Niagara Street. “The building is going to be a jewel box,” Niederman said. It is being designed by Barber Architecture, headed by Michael Barber. The building will open in about a year. It already is 60 percent preleased. Kentwood will take the entire, 25,000-sf top floor in the LEED Gold building. Land Title Guarantee Co. will take 10,000 sf, and Alpine Bank will lease 5,000 sf in One DTC West, he said. Leasing brokers Doug Wulf and Whitney Hake of Cushman & Wakefield. Highlights of the new building include glass curtain exterior walls with custom-finished architectural concrete, night lighting, a main entry court and high-quality interior finishes. One DTC West also will sport a 17-foot main-floor lobby with floor-to-ceiling glass, 9½-foot ceilings in tenant spaces, and 10-foot ceilings on the top floor. Niederman and Hutto bought the 2.4-acre site in September 2015 from Westfield. “It’s taken a long haul to get to the groundbreaking,” Niederman said. “We thought we were going to be in the ground about nine months ago,” he said. First, as just about anybody trying to build anything in Denver can attest to, the permitting process takes longer than expected. In addition, the companies that are critical to the nitty-gritty construction process, in a word, are busy. “There are basically two precast concrete shops that serve the Denver market and we went with Rocky Mountain Prestress,” Niederman said. “In fact, I just came out of a meeting with one of its owners. You have to queue up and kind of get in line for anyone working with glass, concrete and steel,” Niederman said. It’s even tough to book a crane. “Denver is short of cranes,” Niederman said. “There is so much going on from downtown, to LoHi, to Cherry Creek and the DTC, that there really aren’t enough cranes available,” he noted. This is the third office building in which Niederman and his wife, Linda, have an ownership stake. 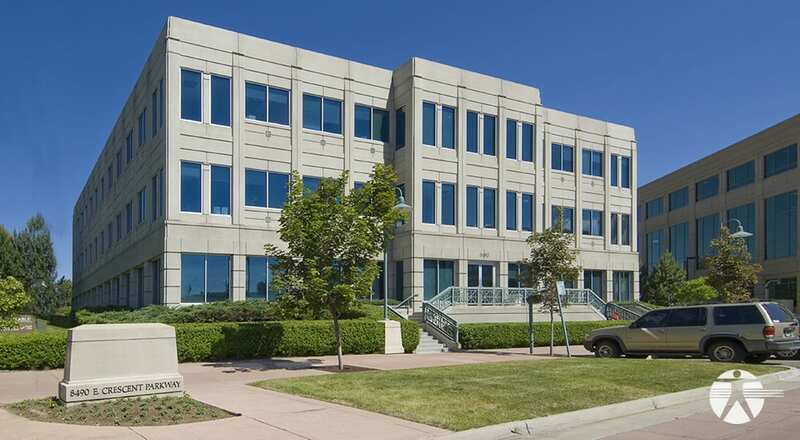 They invested in an office building in Cherry Creek with Hutto and are 50-50 partners with Shea Properties in the Crescent IV office building in the tech center. Peter Niederman is a partner with Shea Properties on the Crescent IV office building. “Frank and I also own about 30 condo units in Centerra in the tech center,” he added. Niederman also owns 1.5 acres of prime real estate in the Denver Tech Center, where the Broker restaurant used to be. And one point, he considered building his office building on that site. “I probably get a call a week from somebody who wants to buy that land,” Niederman said. Most recently, Niederman and his wife bought an 8.5-acre retail site north of Parker Road and E-470. That land is adjacent to 215 acres that Bill Moore assembled as part of a land syndication partnership 35 years ago. Moore, a legendary figure in residential real estate, is Niederman’s father-in-law. Moore and Co. and another family, locally owned company, Van Schaack & Co., for decades were the two dominant residential real estate brokerages in the Denver area. “That land is still in the family; Linda and I are the general partners of the syndication,” Niederman said. The property is known as King’s Point South and is adjacent to the 1,000-acre King’s Point North controlled by Donald Sturm and Lee Alpert, he said. King’s Point South is perfect for a mix of retail and residential, he said. “When Bill Moore put the syndication together to buy the land, it was really in the outskirts and now it is an infill site,” Niederman said. “We’ve been talking to all of the national homebuilders about it,” he added. Niederman also developed the 10,000-sf Arapahoe Plaza retail center at Arapahoe Road and South Quebec Street in Centennial. 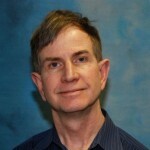 He and his wife also own an office building at First Avenue and Garfield Street in Cherry Creek North. Many of the opportunities presented to Niederman, or that he discovers, are one-off deals that aren’t being shopped. “I’m bullish both about the Denver economy and commercial real estate,” Niederman said. But he also is realistic and knows that both residential real estate and commercial real estate are cyclical. “For residential real estate, we are in extra innings,” Niederman said. “People have been predicting for several years that that home prices can’t keep appreciating and then we experience another two years of extra innings,” he said. Commercial real estate also is attractive because you can still borrow construction and permanent financing at such low rates, he said. Still, commercial real estate is far enough along in the cycle that he wouldn’t advise being overleveraged. However, Niederman is typically not looking to flip his holdings. “There might be occasions when we sell, but for the most part we are long-term investors,” Niederman said. He thinks he has good reasons to be so optimistic about Denver’s future. “When we were young, we traveled to where we needed to be to find a job,” Niederman said. “Today, young people are coming to Denver for its quality of life, its great weather and all of its outdoor activities, and figure they will find a job after they arrive,” Niederman said.